In November 2012 the football world mourned the passing of one of its finest and most respected gentlemen. David James Sexton passed away peacefully at the age of 82 after a lifetime in the professional game. Tributes poured in for a man who was universally acknowledged as a major thinker and contributor to coaching in the English game. Born in north London in 1930, Sexton enjoyed a relatively brief career as a player for a number of southern-based clubs. After starting out at non-league Chelmsford City, Sexton played for Luton, West Ham, Leyton Orient, Brighton and Crystal Palace before a bad knee injury prematurely curtailed his playing career and necessitated a move into coaching. It was his time as a player at West Ham that first sowed the seeds of interest in coaching, and time spent amongst such players as Malcolm Allison, Noel Cantwell, John Bond and Frank O’Farrell whetted his appetite for learning and talking about the game. All the mentioned Upton Park stalwarts would go onto enjoy successful spells in coaching or management, and Sexton was no exception. After his forced retirement from playing in 1961, Sexton would spend the next four decades honing the skills of generations of players in a variety of positions at some of England’s biggest and most well-known clubs. Additionally, he would work within the England set-up both as coach of the Under 21 side, and as a direct assistant or coach to the full side under five England managers (Greenwood, Robson, Venables, Hoddle and Keegan). As late as 2001 he was employed by Sven-Goran Eriksson as a scout for England, and indeed at one point, he might even have been seen as a contender for the position himself. However, that was all to come as Sexton started his career in the dug-out as a coach at Chelsea beside Tommy Docherty. This would not be the last time the two men’s career paths would cross, as in years to come Sexton would directly succeed Docherty as manager at both Chelsea and Manchester United. After a successful spell helping The Doc create a young and vibrant attacking side at Stamford Bridge, Sexton got his first chance in management at Leyton Orient. Somewhat surprisingly, however, Sexton initially did not take to management as well as expected. Sexton resigned after just as a year in charge as he felt dissatisfied with both himself and his own lack of progress as well as that of the team. Deciding to step back into coaching, Sexton spent time at Fulham before being offered the chance to work alongside future double winner, Bertie Mee, as Arsenal’s assistant manager. Having gone back to his roots, Sexton was preparing for his second shot in management and he did not have long to wait. When Tommy Docherty and Chelsea decided to part company in the autumn of 1967, it was to Dave Sexton that the West London club looked for a successor. So began the spell in management that was to prove both Sexton’s most successful and his most glamorous. To be fair to Docherty, Sexton inherited a stylish free-playing footballing side that had reached the previous season’s FA Cup Final, and of which great things were expected. Whilst coming across as the direct polar opposite of the effervescent and brash Docherty, Sexton was still able to command the respect of the Chelsea players he was to lead to great success. Promoting a style of football that mashed attacking play and a short-passing style with steel and determination in the spine of the team, Chelsea won the FA Cup in a bruising two-match showdown with Leeds United in 1970, and also finished third in the table the same season. The next season saw European success as Real Madrid were defeated in the final of the European Cup Winners Cup, also after a replay. For a while, Chelsea and its football club seemed to be the very epitome of Swinging London, and while this phenomenon had its roots in the 1960s, it underwent a resurgence in the early 70s. The future looked bright for Chelsea and another Wembley visit was booked in 1972 when the League Cup Final was reached. Unfortunately, this time Sexton and his team had to settle for runners-up tankards as Stoke City emerged 2-1 victors. It was thought that this was a temporary blip and the trophies would soon start to roll-in one more, but in fact, this actually proved to be the beginning of the end of the good times for Sexton and Chelsea as a partnership. Moving into 1973 and the Chelsea hierarchy made a number of decisions that would bring the very existence of the club into doubt. Undertaking a multi-million-pound commitment to redevelop Stamford Bridge, Chelsea soon fell into dire financial difficulties. 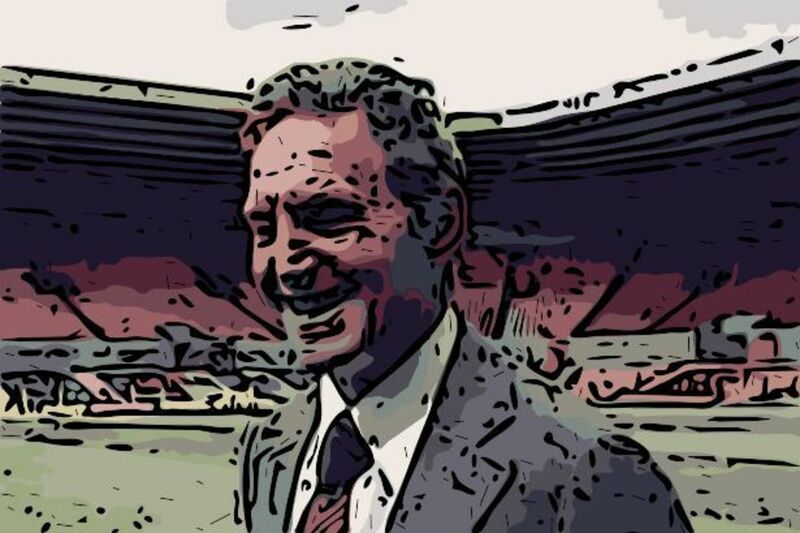 The immediate effect on the team was a lack of money for transfers and added to the fact that Sexton fell out with such influential fan-favourites such as Peter Osgood and Alan Hudson, the writing was on the wall for him. Early in the 1974-75 season, with Chelsea already looking like candidates for relegation, Sexton was unceremoniously sacked. Bowed but not beaten Sexton soon found himself back in work at nearby QPR. With players such as Gerry Francis and the talented Stan Bowles on the books combined with players such as Dave Webb and John Hollins recruited from ex-club Chelsea, progress and success came quickly to Loftus Road. At Loftus Road, Sexton showed visionary qualities as he became more interested in studying nutrition and player’s diets. During this period he would also painstakingly put together video analysis of future and upcoming opponents. An immense 1975-76 campaign brought Rangers to within 15 minutes and a solitary point of the league title, and a run deep into the following season’s UEFA Cup also helped consolidate Sexton’s reputation. The Summer of 1977 saw a managerial merry-go-round. Bertie Mee stepped down as manager of Arsenal, and it was widely assumed that former assistant manager Dave Sexton would be invited to fill that particular vacancy. However, it was not to be and instead Terry Neill made the short trip across London from Tottenham, while fate had something else in store for Sexton. Tommy Docherty had once again been building a young and exciting side and had once again stepped on more than a few toes in doing so. When revelations regarding an affair with the club physio’s wife came to light, Manchester United felt they had no choice but to dismiss him and Dave Sexton was installed in his stead. To this day Old Trafford is the one place that the name of Dave Sexton is not exactly revered. It would perhaps be accurate to label his four years in charge of United as ‘difficult’. Although some good signing such as Gordon McQueen and Joe Jordon were made, in large the United teams of 1977-81 tended to flatter to deceive. Coming into the job in direct succession to Docherty, once again comparisons were made with regard to each man’s character and temperament. While Docherty was, and is, never short of a wisecrack or a comment for the press, Sexton was always quieter and more reserved. This led to unfair observations in some quarters that Sexton failed at United simply because the ‘club was too big for him’. In fact, although no trophies were won in his tenure, he did actually come tantalizingly close to becoming an Old Trafford legend. In 1979 the FA Cup Final was reached and following an unlikely late United recovery from two goals down, the match was heading for extra-time and a probable Old Trafford victory. That Gary Bailey suffered a sudden rush of blood to the head and missed a simple cross to allow Alan Sunderland a tap-in winner is now part of folklore. The next season, 1979-80, Manchester United and Liverpool were locked into a two-way battle for the title that went right to the last game of the season. Had the balance that campaign tipped United’s way, as it looked like doing so at around the Easter period, then Sexton’s Manchester United legacy would no doubt be very different to what it is today. As it happened, Sexton was to last one more season in charge at Old Trafford before being dismissed at the close of the 1980-81 season. Sexton’s last spell in charge of a league club was a fairly undistinguished two-year spell at Coventry City. Between 1977 and 1990 Sexton combined club management with running the England Under 21 side and enjoyed a fair degree of success. In 1982 and 1984 under his charge, the UEFA Under 21s Championship was won. In 1994 he returned to the position upon the appointment of Terry Venables as Head Coach and continued in the role for another two years. Awarded the OBE in 2005, Dave Sexton is remembered as an innovative coach who contributed much to the English game. Dave Webb, who played under him at both Chelsea and QPR, described Sexton as the best coach he ever played under. Coming from a man who scored the winning goal in an FA Cup final, that is not a bad endorsement to have on your CV. Brit expat living in SE Asia whilst supporting both Blackpool and Liverpool and doing my best to stay sane, regular TO2H writer.